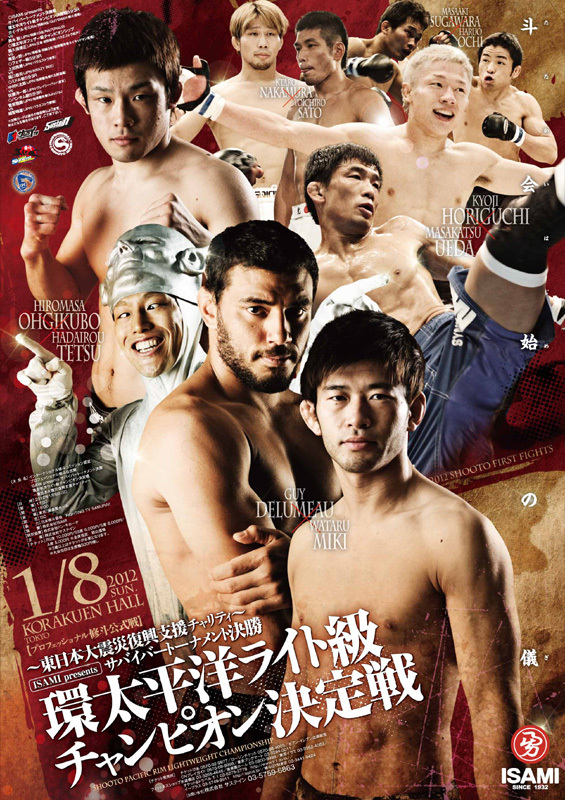 Shooto will present their "Survivor Tournament Final" next Sunday, January 8th in Tokyo. On the ticket are two Pacific Rim titles. The vacant lightweight title will be determined when Hawaiin representative Guy Delumeau and Wataru Miki throw down in the 143lb. Pacific Rim Tournament Final. Also, current champion Hiromasa Ogikubo will go to war with challenger Tetsu “Hadairo” Suzuki in a Pacific Rim 132 lb. title affair.